that finally feels like you. their long lost BFFs online? starry-eyed fans to your email list? might seem a bit of a stretch. 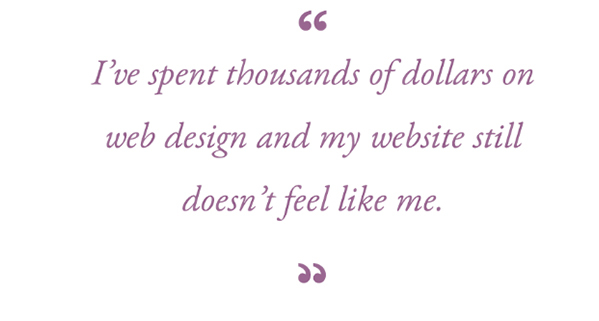 Maybe, like Maddy May, you’re feeling that without a website you’re proud of it’s hard to do business at all. 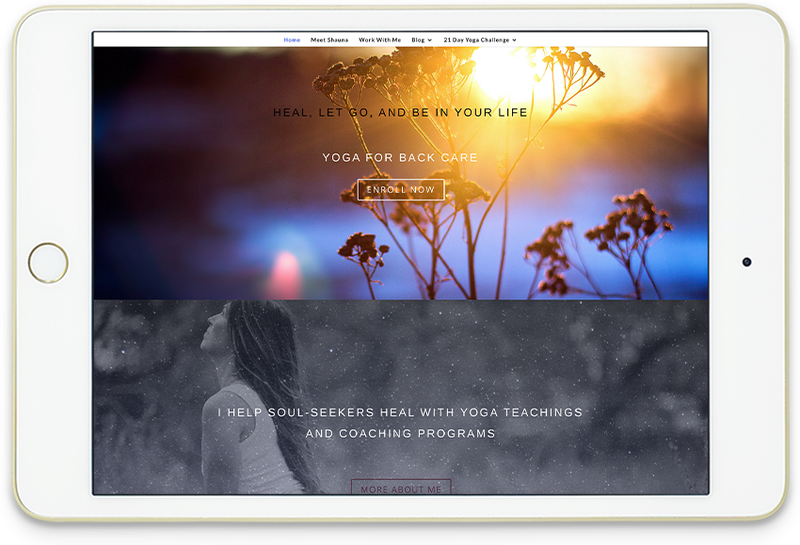 Perhaps like Dana Garced, your website doesn’t feel aligned with your business or captures how you want your website to feel. Or Maybe like Denise you have a grand visions for your website but you have no clue how to take your idea & make it happen online. …I couldn’t be more thrilled that you found me. 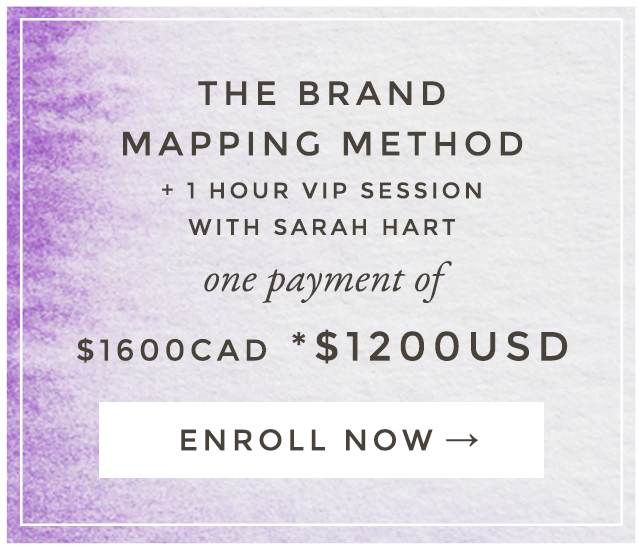 I’m Sarah Hart & This is The Brand Mapping Method. 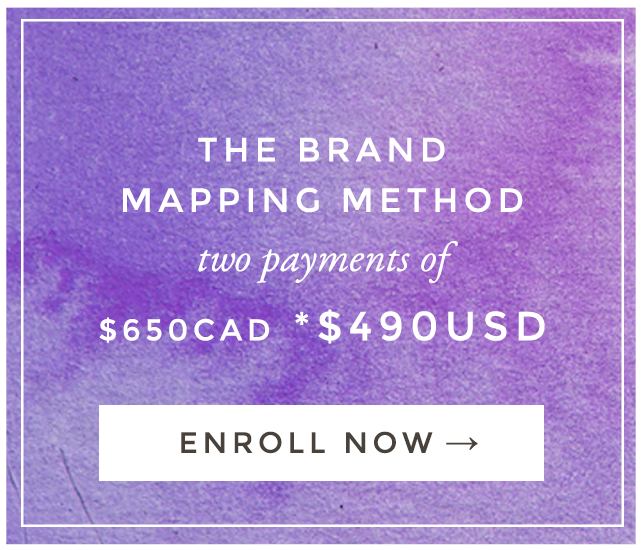 The Brand Mapping Method is a three-week online class for personality-based brand owners like you, who want to learn how to design their own brands and websites that they l-l-love! Loaded with over 50 step-by-step design training videos, 30 done-for-you design templates, and over 15+ hours of live access to me, The Brand Mapping Method will teach you everything you need to know in order to design and build your digital dream home in just two weeks. really are and how you want to show up in the digital world. effortlessly through your computer screen. their long lost digital bff. 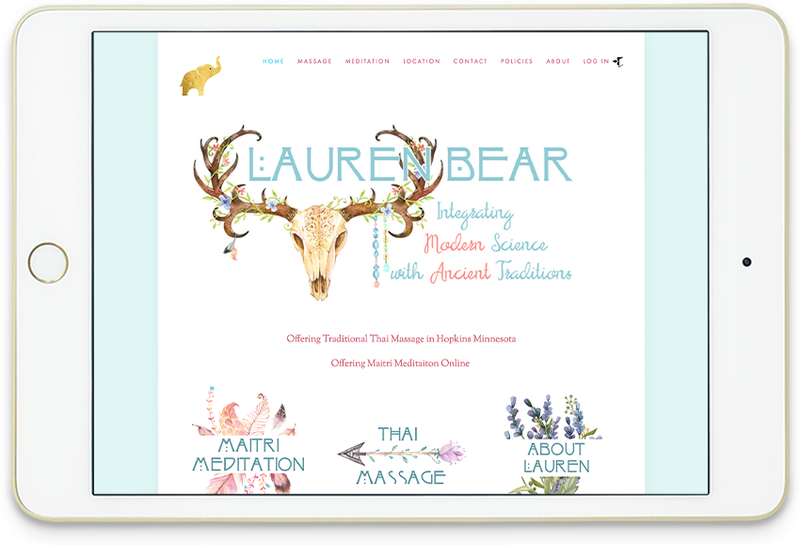 At the heart of The Brand Mapping Method is my desire to empower you to create a beautiful website you love. That’s why after uncovering your one-of-a-kind brand mapping blueprint using my emotion-centered design methodology, I’m going to teach you step-by-step how to conquer your technical woes and make design magic happen all by yourself, without ever needing to hire a designer. 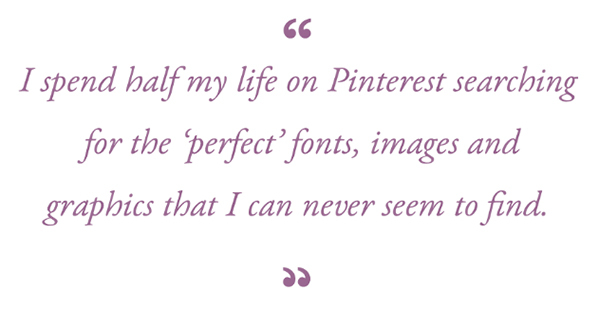 including gorgeous home, about, services, praise and blog pages that look ah-mazing! including: Facebook & Twitter covers, email headers, manifestos, ads, banners & buttons. totally Rekindle your love for your brand. 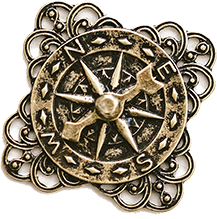 This beginning part of the course will teach you how to calibrate your inner brand compass so your dream clients will never feel confused or turned-off by your visual brand ever again. How to infuse your personality throughout your visual brand and show up online in a way that truly represents who you are, without the fear of being judged or comparing yourself to others. How to stop obsessing about professionalism and show up for your ideal clients in a way that shares the very essence of you and what you have to offer them. How to stitch your beliefs and values into the fabric of your brand so you attract only your dream clients – the people you most want to work with. 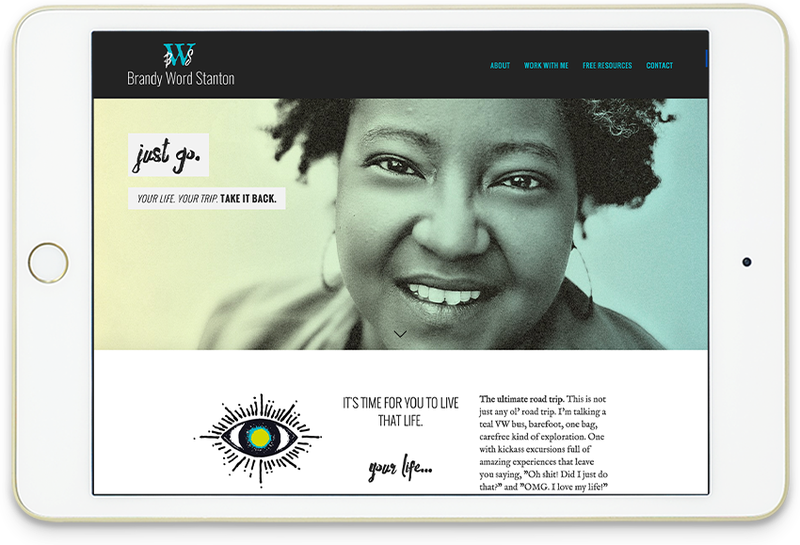 How to create a clear brand system complete with fonts, colors, and images that represent the feelings, emotions and beliefs you wish to evoke through your visual brand. Learn how to capture your brand ‘fingerprint’ and create the map that will help you piece together your brand puzzle. Use Pinterest to inspire and define your look, rather than it being an endless source of overwhelm and confusion to get lost in. Select the perfect fonts, colors and images for your website and brand. 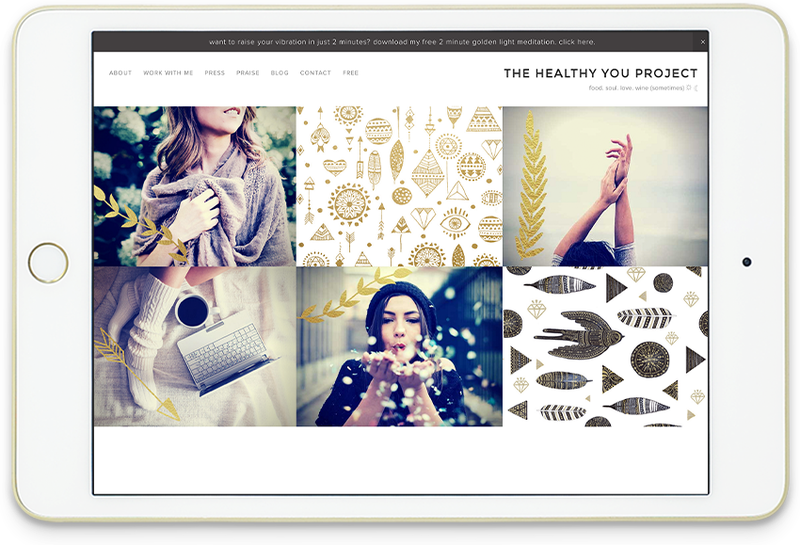 Find beautiful photos (free & paid) to attract your dream clients. Where to find brand elements that will help your website stand out from the crowd. 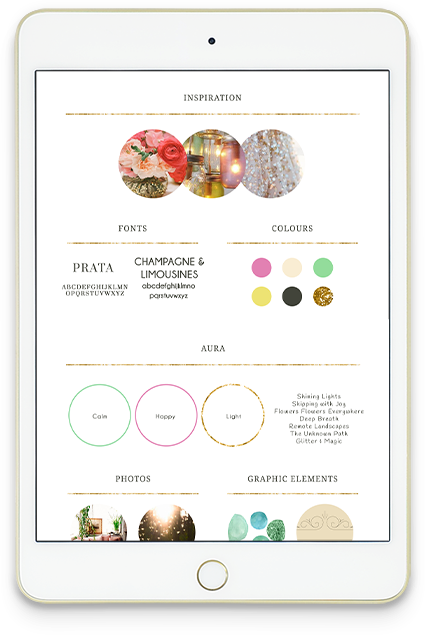 Use my easy drag-and-drop style guide template in Photoshop or Canva to create graphics that are on-brand. 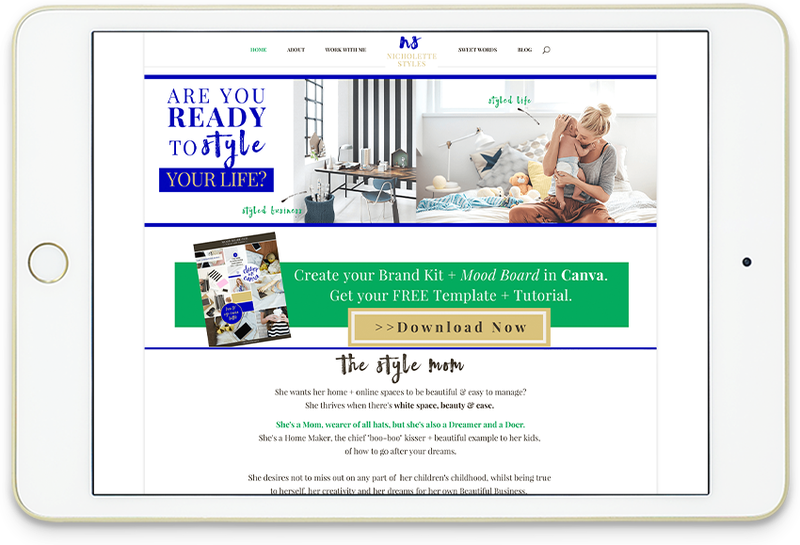 Learn how to design a comfy, cosy digital space that finally feels like home, and creates an instant emotional connection with your ideal clients. 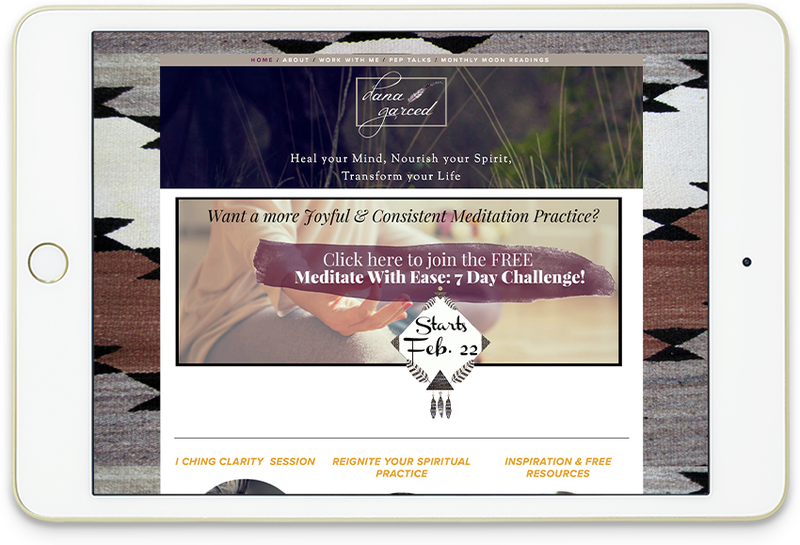 Jaw-dropping website banners that create an instant connection with your dream clients. 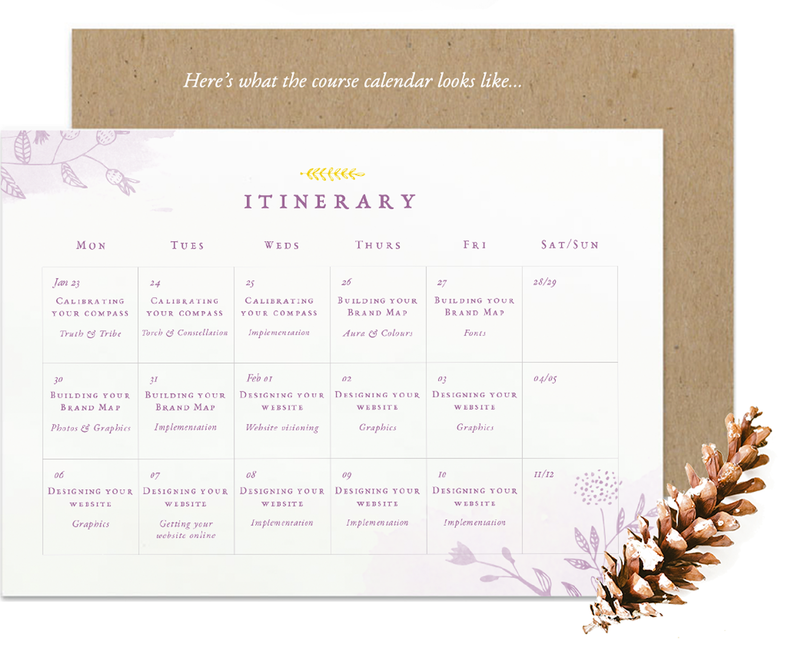 Beautiful buttons and highly clickable call-to-action boxes that convert. Quote images for Facebook, Pinterest, and Instagram that people won’t be able to resist sharing. Eye-catching banner images for Facebook and Twitter. Email newsletters that stand out and get click-throughs. 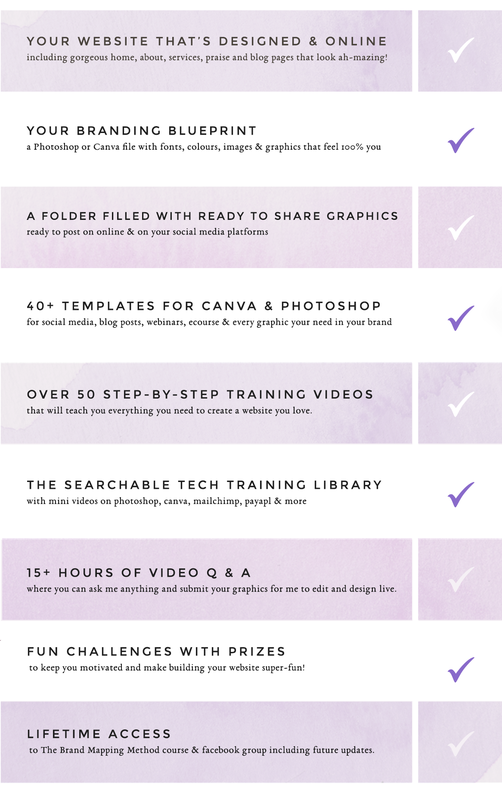 Canva & Photoshop basics + expert tips. How to make luxurious gold foil graphics and type. Tech tutorials on mailchimp, paypal & more. You’ll have live access to me, Monday – Friday, to get feedback on your work and all your questions answered. Just show up at the appointed Office Hours time (which will vary day-to-day to accommodate Brand Mappers in all time zones!) and I’ll be waiting to help you bust through whatever block you need to overcome that day. 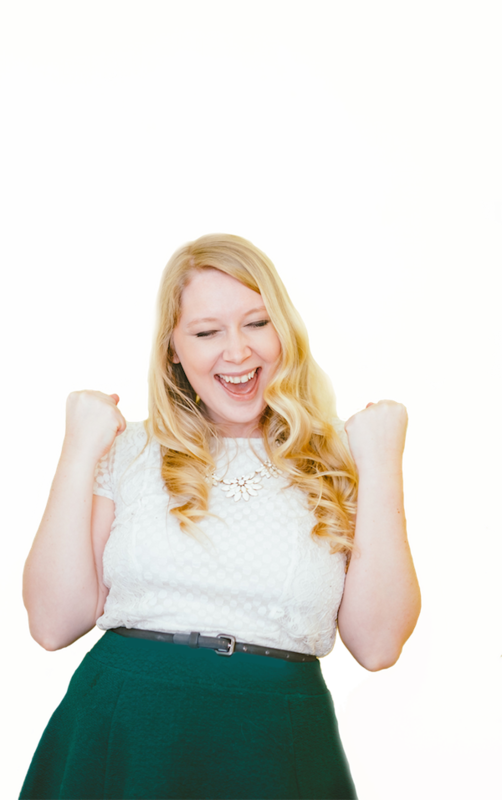 And you’ll also get access to 12+ awesome-sauce bonus trainings worth over $1800! Hi! 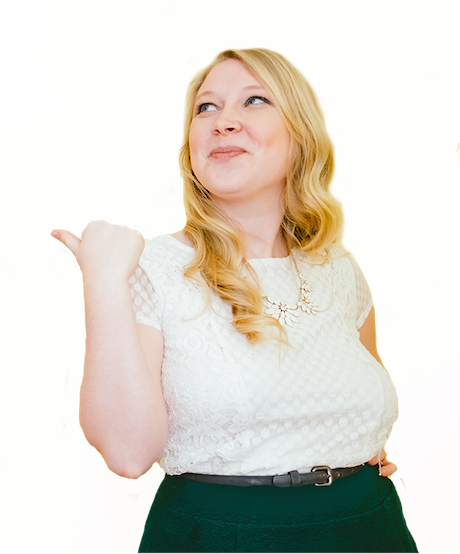 I’m Sarah Hart, designer & visual branding expert. In the last six years I’ve worked on hundreds of brands to help them create their dream websites, and in the last year I’ve taught over 200 lifestyle business owners like you how to design and build their digital dream homes. who perceived them as new, inexperienced, or somehow not legit – even if they’d been in business offline for decades. 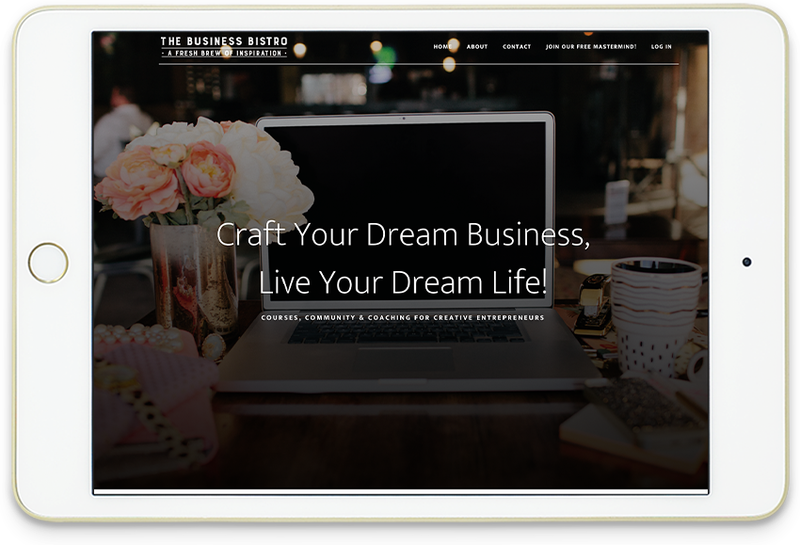 that they desperately needed in order to feel confident enough to leave their corporate or bridge jobs and devote all their time and passion to getting their lifestyle business off the ground. which seemed to be drifting further and further away. As you can imagine, that made me feel like a Hart with a broken heart! So I decided to stage my own mini-intervention. 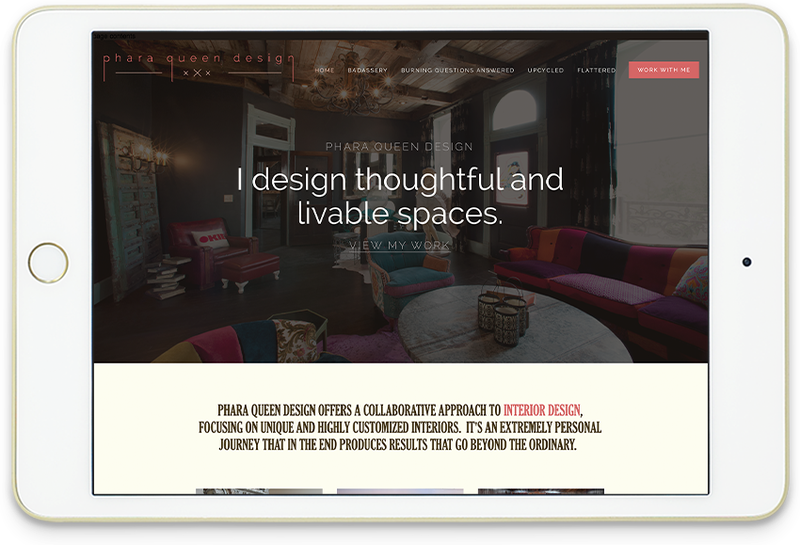 not only design your brand, but hold you accountable for actually creating your website as well. That’s why The Brand Mapping Method is not a buy-it-now-and-think-about-it-later-or-drop-off- somewhere-in-week- three kind of program. 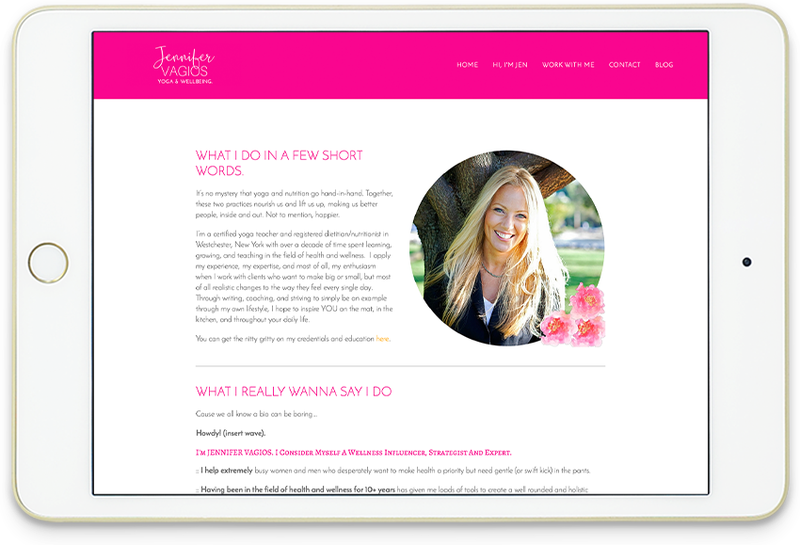 It’s a live intensive, designed specifically for lifestyle brands, where I commit 100% of my time and energy to ensure that after three weeks, you skip away with absolute brand clarity and everything you need to attract your dream clients. You’re a lifestyle brand, meaning YOUr personality is a big piece of your business. 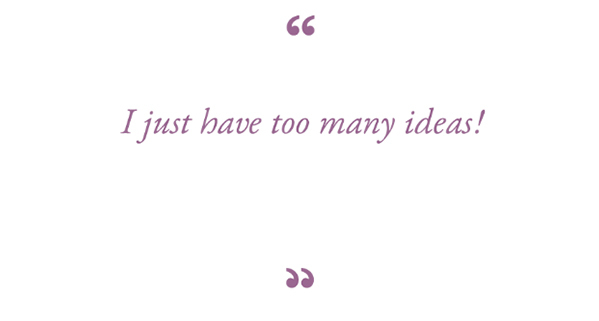 you’re just starting out in your biz & you have no clue where to start. 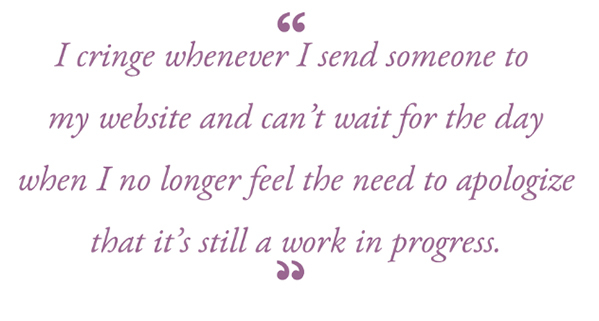 You’re currently trying to DIY your website (or have been for years) but everything you create feels off & just not you. You have a feeling you want to convey but you’re unsure how to turn that into your brand. You need help with how to infuse your personality into your design so when your ideal clients come to visit, they walk away remembering your brand. Your website feels like there is something missing but you have no clue what it is. You’ve worked with a designer before but you’ve never had a website that truly feels like ‘you’. 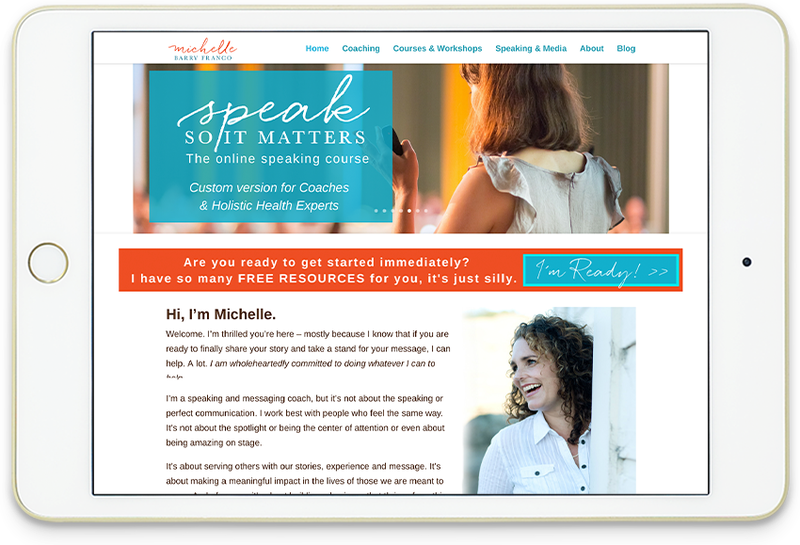 You’re beyond ready to get your website launched and start feeling like you’re really in business! You have zero interest in creating your own graphics. You’re not willing to learn a new skill. You aren’t willing to invest the time to creating your own designs. I’m not exaggerating when I say that I live and breathe the content I teach in this course – seriously, design is my life! The Brand Mapping Method is literally the method that I guide people through when I work with them one-on-one (as well as the method I use to create my own designs) so I know that everything I teach gets amazing results. Isn’t it about time you fell in love with your brand? How do I know if this is the best investment for me? 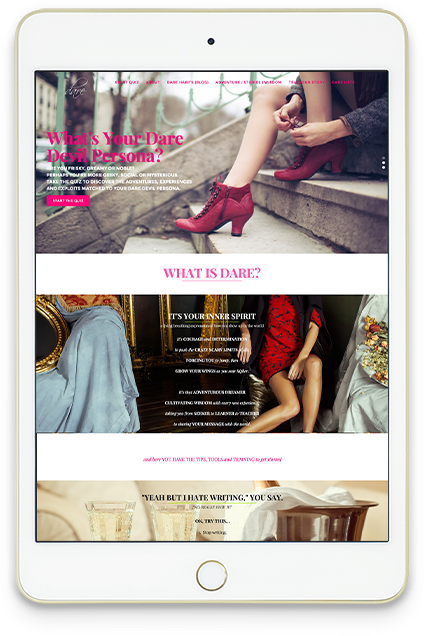 You could try and piece together everything you need to make a luscious website, all by yourself. 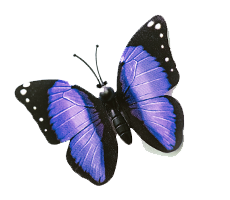 But let’s face it, trying to figure out how you translate the thoughts and ideas you have in your head into images on your computer screen is easier said than done, especially if your tech skills are limited. 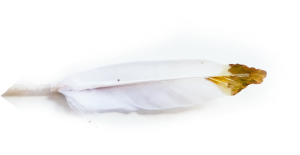 Going it alone could mean you wind up trapped in a cycle of perfectionism, wanting everything to look and feel beautiful before you hit publish, but not knowing how to actually make it happen. And if your lack of web presence or web shame is currently holding you back from landing the right clients or pursuing awesome opportunities, you probably don’t have months to spare tweaking your website until everything’s juuuuuuust right. You could hire someone to design and build your website for you. But here’s the thing – web design can be reeeeeeeally expensive! Seriously, we’re talking anywhere between $3,000 and $7,000 for someone who really knows what they’re doing. And with any future tweaks you want to make when you add a sales page or change your opt-in for example, you’re easily looking at $100-an-hour for a designer’s time. Just think about it for a second…a couple of hours a week at $100 per hour implementing fixes or adding new elements could end up costing you an extra $10,400 a year, on top of what you paid for the website in the first place. And that’s assuming the designer you hired was able to get the design right first time. Truth time: I’ve had a bunch of peeps go through the brand mapping method who told me they WISHED they did this course before hiring a designer because they had sunk a ton of cash into a website that ended up just feeling off and totally not them and now where starting from scratch. The thing is if you find yourself unhappy with their work having exhausted all the included revisions you paid for, you could wind up spending even more money to (cross your heart and hope to die!) fix what’s not working. Or worse, you could even find yourself limping away with no website at all and having to start the process all over again with time and money that you just might not have. Which brings us to option #3. Instead of wasting precious time going it alone, or investing thousands and thousands of dollars on a web designer, you could learn how to design and build your website in a fun supportive atmosphere with TONS of support. And if you decide to hire a designer in the future you will have the clarity to get the BEST RESULTS. As soon as you complete your purchase, you’ll receive an email from me confirming your enrollment, along with all the classroom start details. When are the LIVE times? Right now they’re fluid and that, marshmallow, is because I’m waiting to see when best to hold the calls depending on where all my lovely new Brand Mappers are located around the world! All the times will be released the week before the course starts so you can block out time for the sessions you want to attend in your calendar. How much engagement is there? More that you can possibly imagine! Not only do you get live access to me Monday – Friday for the three weeks that we’re in session (see above) but I’ll also be hanging out in the private Facebook community between times! Trust me, it’s hopping in there! What happens after the 3 weeks? When the three weeks are up I’ll disappear in a puff of smoke and you’ll never see or hear from me ever again. Just joking! What if I don’t have any tech skills? Don’t worry, I’ve got enough tech skill for all of us! And one of my superpowers is breaking down your techie trials and tribulations, and setting out step-by-step, exactly what you need to do to accomplish your goals. Pinky swear! 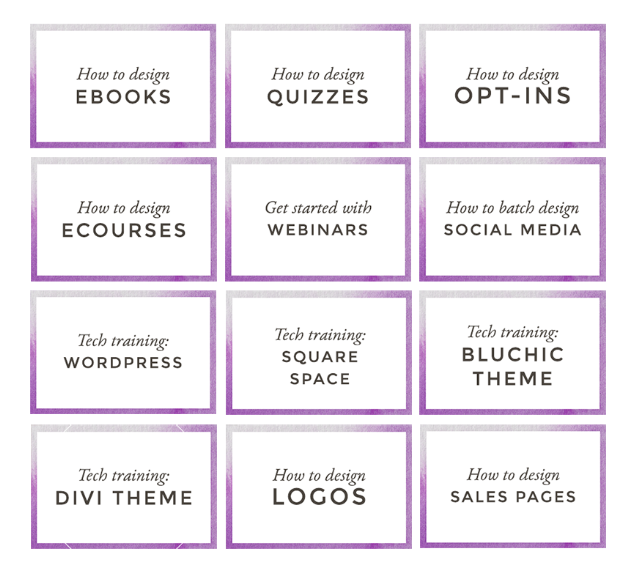 I’m a Squarespace, Wix or Weebly user – is this course for me? Yes! 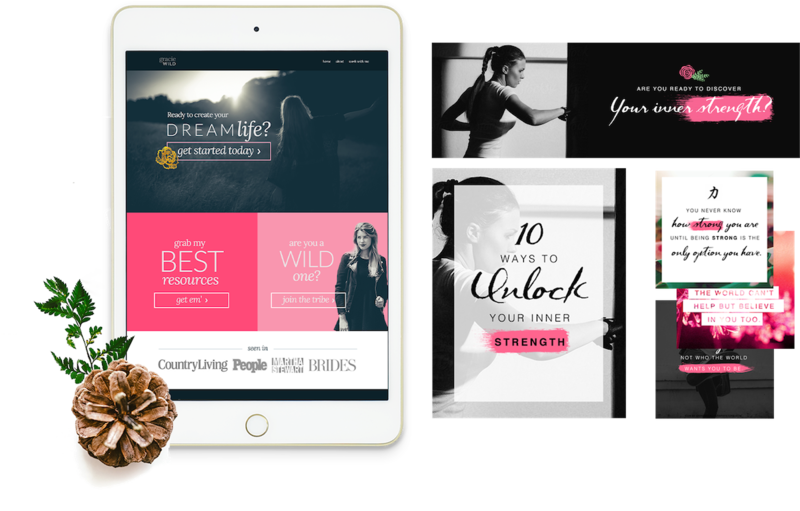 90% of all trainings apply to whatever platform you use to create your website (Some bonuses are specific to WordPress) and we have a special designing for Squarespace bonus training as well! What do I need to have ready to do this course? 2/3 hours per day to dedicate to the course. I’m a total beginner and I don’t even have a domain yet. Can I still join? Yup! We have a special bonus training teaching the basics on how to set up your website for total beginners which you get access to as soon as you enroll. I work during the week – will I have enough time to get everything done? 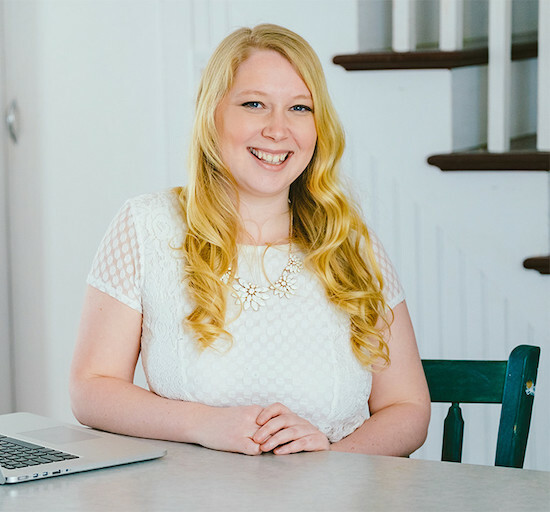 I designed this course to be an intense burst of energy to inspire & motivate you to finally finish your website. That being said, the training is flexible (all pre-recorded except for the Q&A) and you have lifetime access! 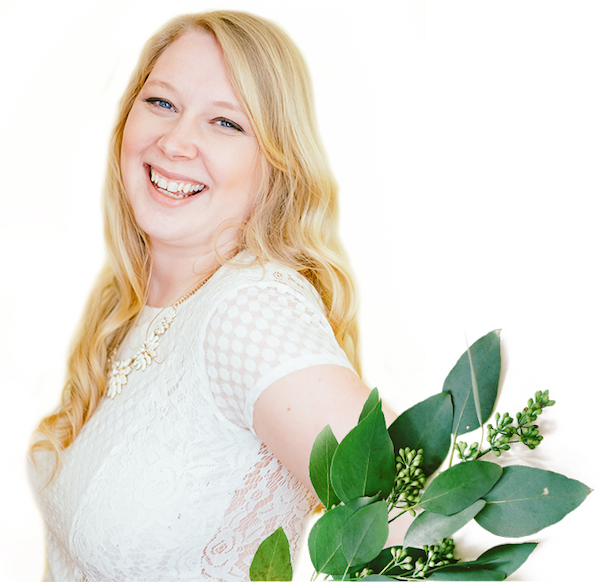 The Brand Mapping Method runs LIVE for 19 days but you have lifetime access to all the content, bonuses and updates so you can dip your pretty toes back in whenever you like! All that said, if you enroll in The Brand Mapping Method and get to the end of week one in the course and realize the course isn’t for you, I’ll gladly issue a full refund. All you need to do is to send me your four completed workbooks from part one of the course to show your commitment to the program, and I’ll send your money right back. Do I have lifetime access to the content? Yes! You have lifetime access to the content and any future upgrades! Remember, once a Brand Mapper, always a Brand Mapper!